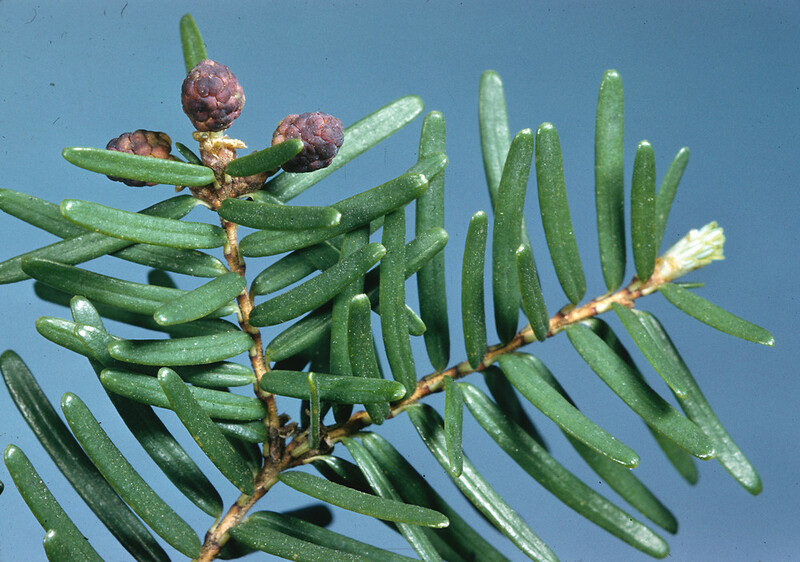 The mighty spires of eastern hemlock can tower over other trees, especially in old-growth forests and moist, cool ravines where it grows best and can live up to 800 years. 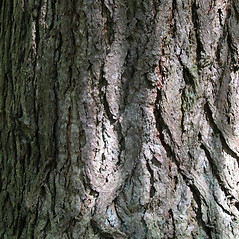 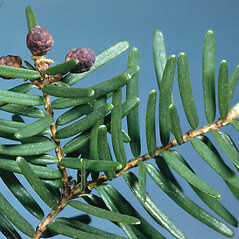 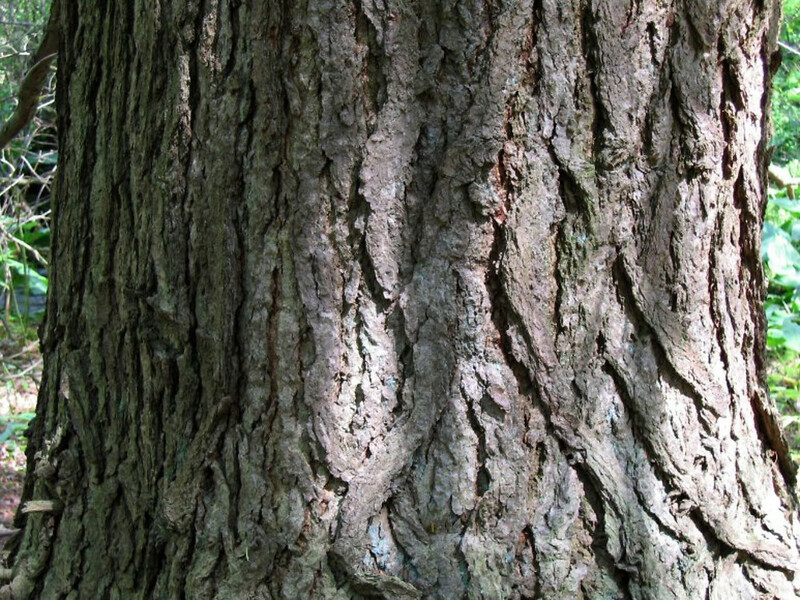 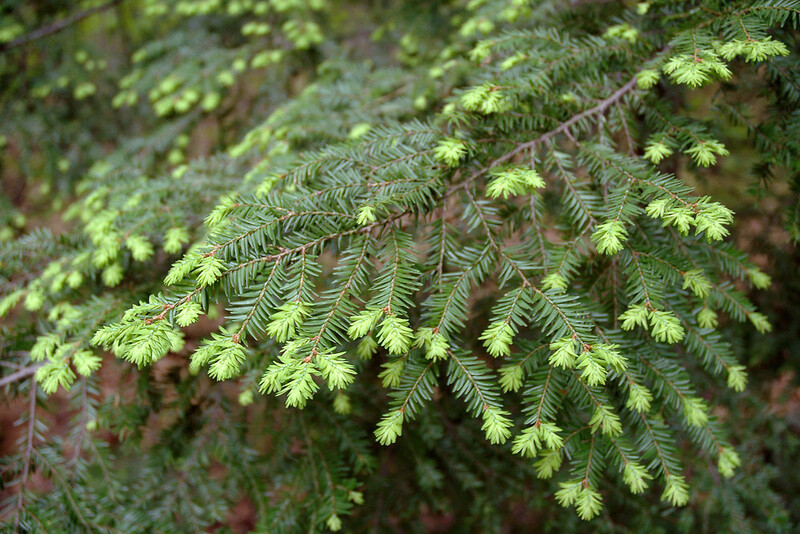 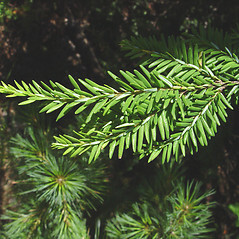 Eastern hemlock produces tannins, which dye nearby streams a deep reddish-brown; these astringent chemicals were used for tanning leather in the 1800s. 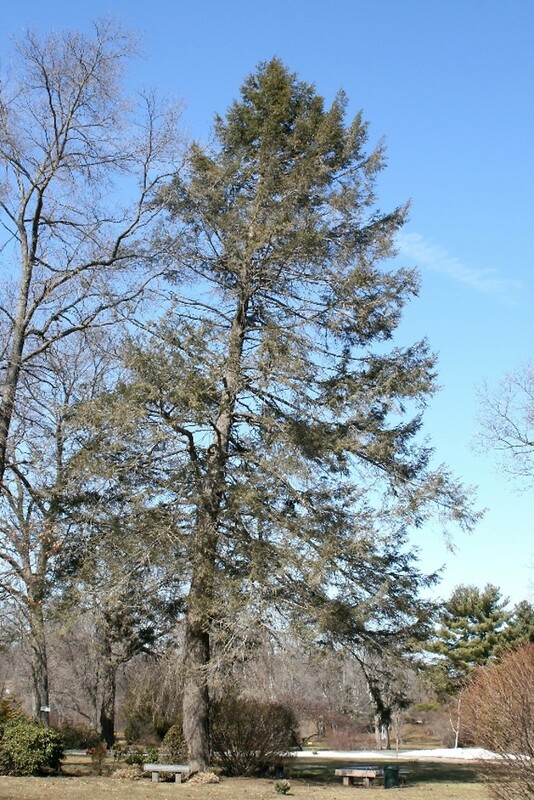 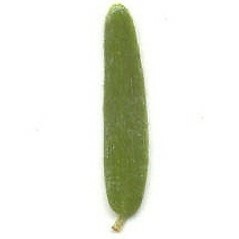 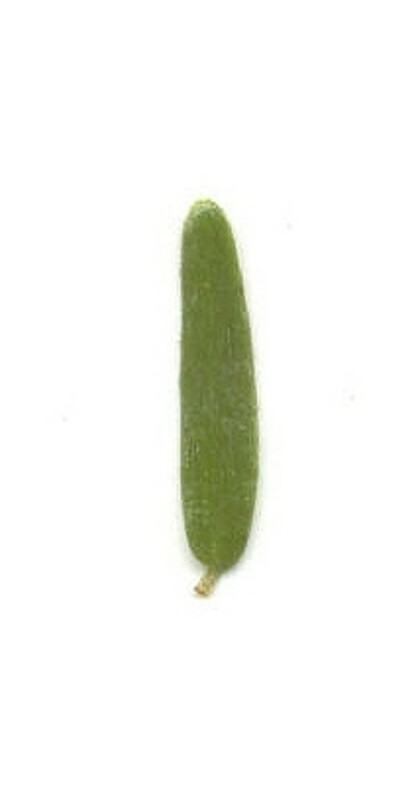 As a dominant and widespread tree, it provides nesting habitat for many species of birds. 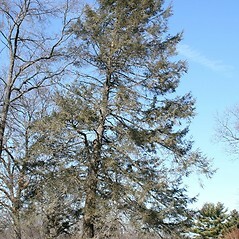 The sheltering, evergreen boughs are favored by deer for bedding grounds. 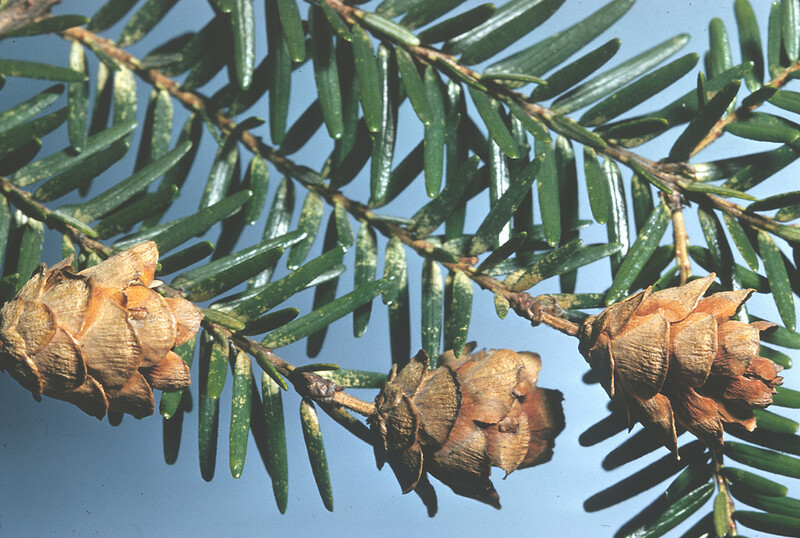 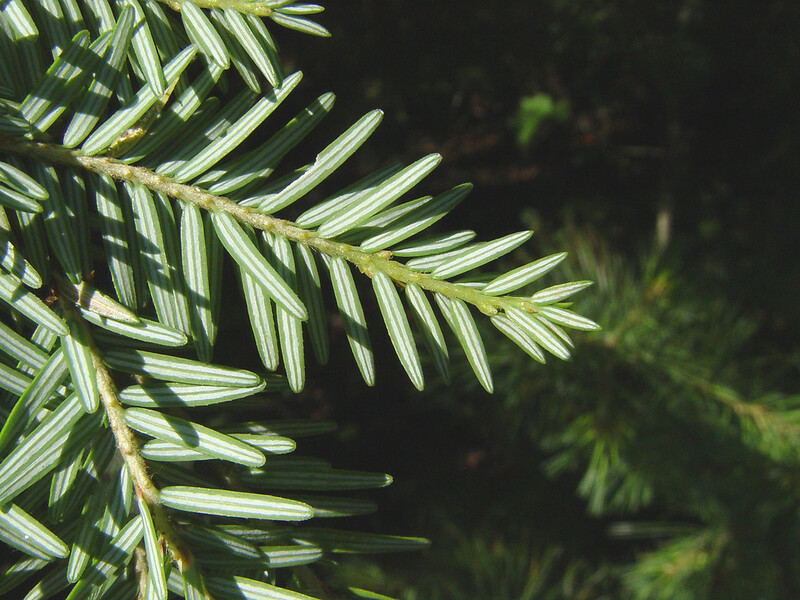 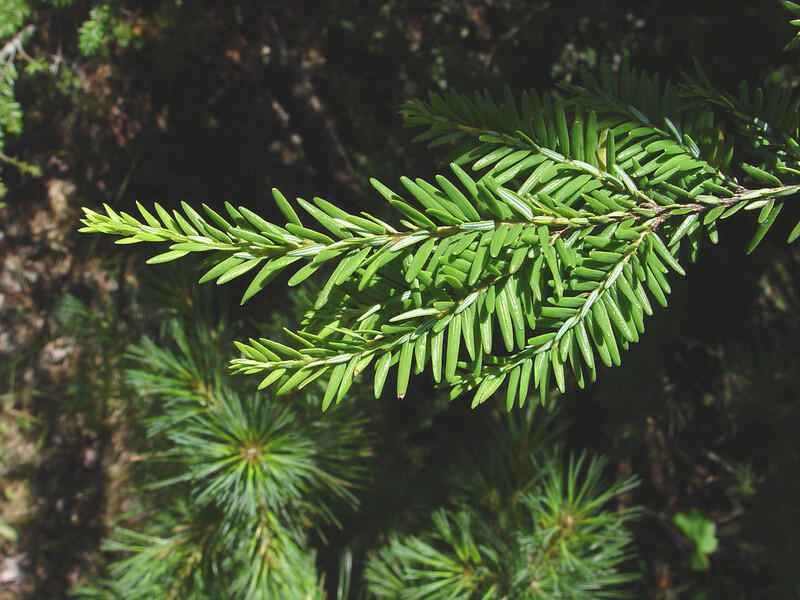 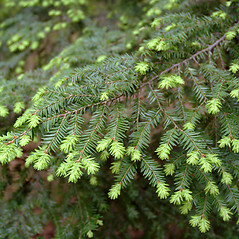 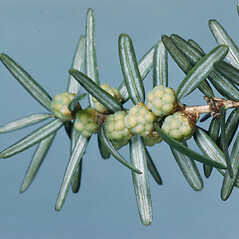 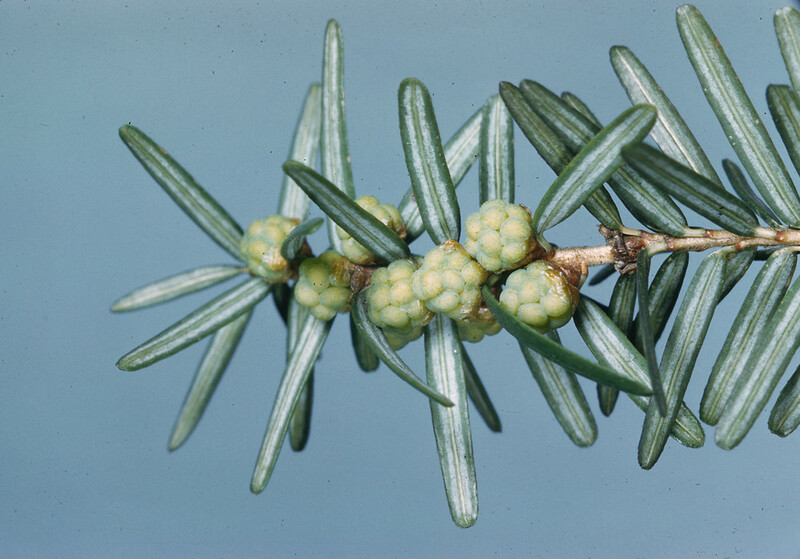 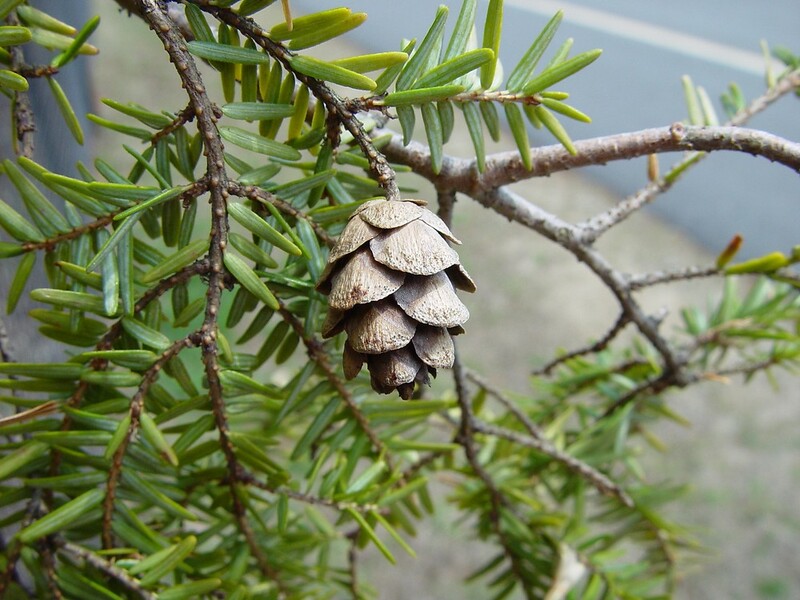 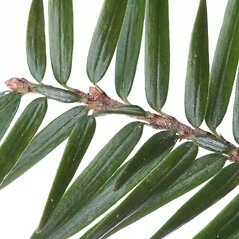 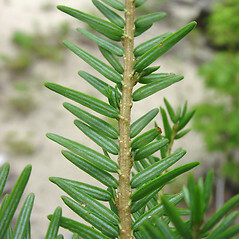 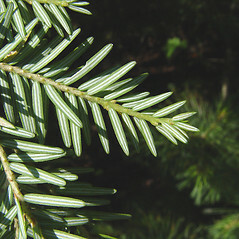 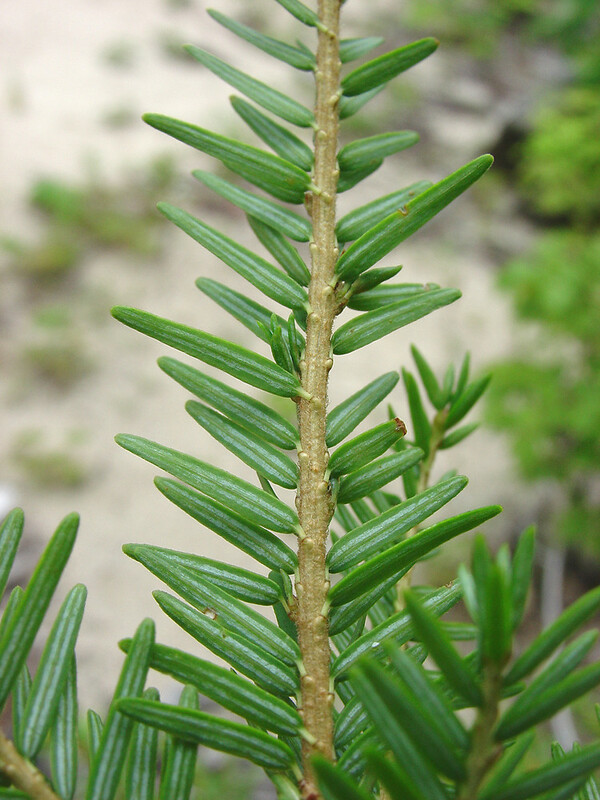 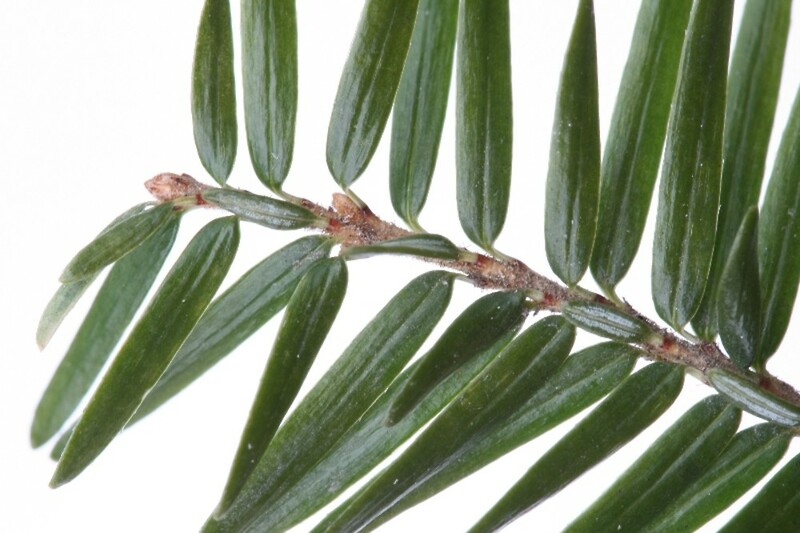 Eastern hemlock is increasingly under threat from the hemlock woolly adelgid (Adelges tsugae), a tiny white sucking insect that can defoliate whole stands. 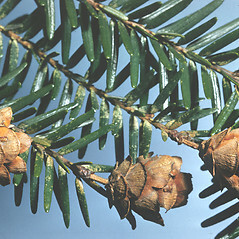 winter buds resinous, the invidiual scales concealed by resin, bark with resin blisters, and seed cones erect (vs. T. canadensis, with winter buds not resinous, the individual scales visible, bark without resin blisters, and seed cones drooping). 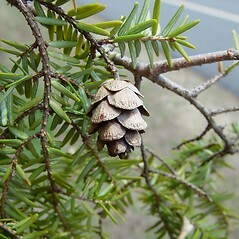 eastern hemlock. 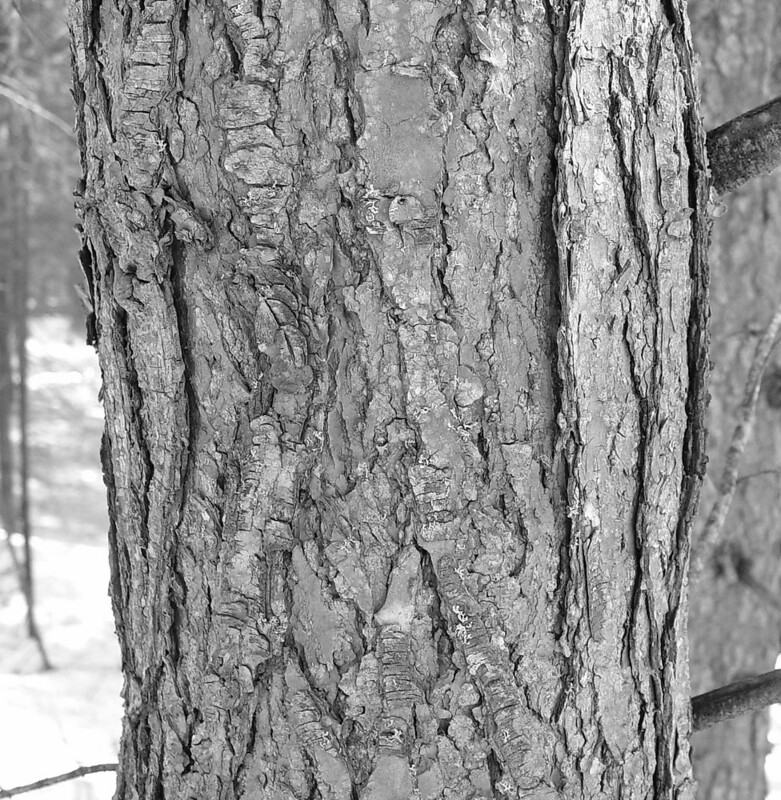 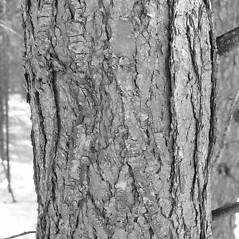 Pinus canadensis L. • CT, MA, ME, NH, RI, VT. Forests and slopes, sometimes growing in hydric soils.